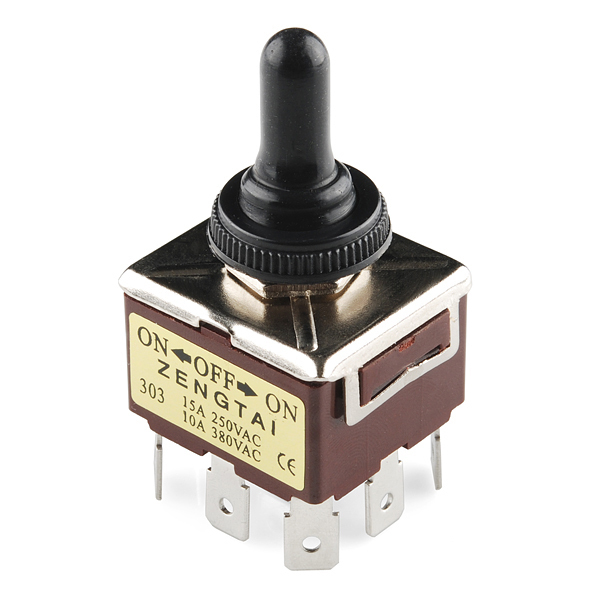 How do you keep a panel-mounted toggle switch safe in all-weather conditions? Well, you use protection of course! 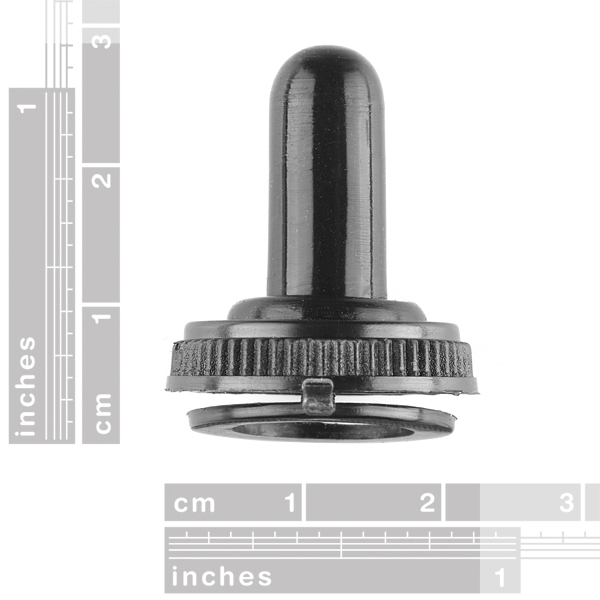 This waterproof switch cap threads onto the toggle switch and allows you to operate the switch without exposing the switch itself to weather, high-humidity and other environmental hazards. The M12X0.75 thread fits most panel mount toggle switch bodies. 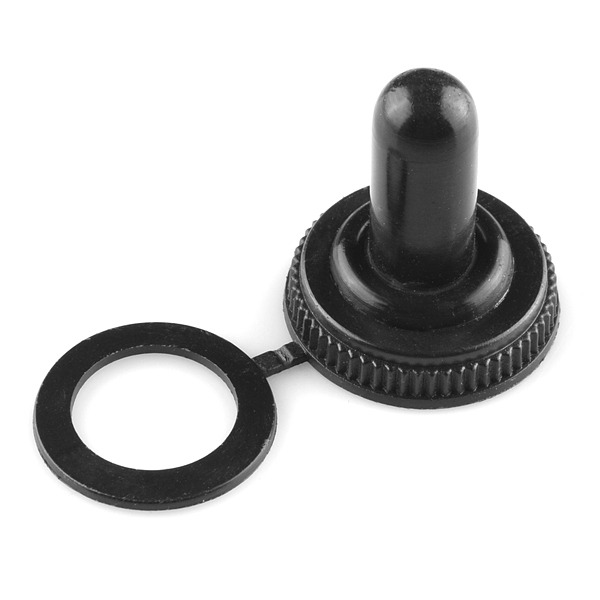 I don't normally do this, but since I needed this part and there was no prediction for when it would be in stock, I found it on Parts Express: https://wholesale.parts-express.com/switch-boot-with-retention-washer--060-589 It's a little more expensive there and you have to pay their shipping. Since I can normally pick up directly from SparkFun I would continue buying these from them if they return to stock. Is this all rubber or is there a metal nut underneath? A photo of the underside would be helpful. What is the construction material? There is a Metal Nut underneath. Will one of these fit under a missile switch cover? Lol. Not only does it look like a condom. But they also made a condom reference in the description. Gotta love sparkfun.